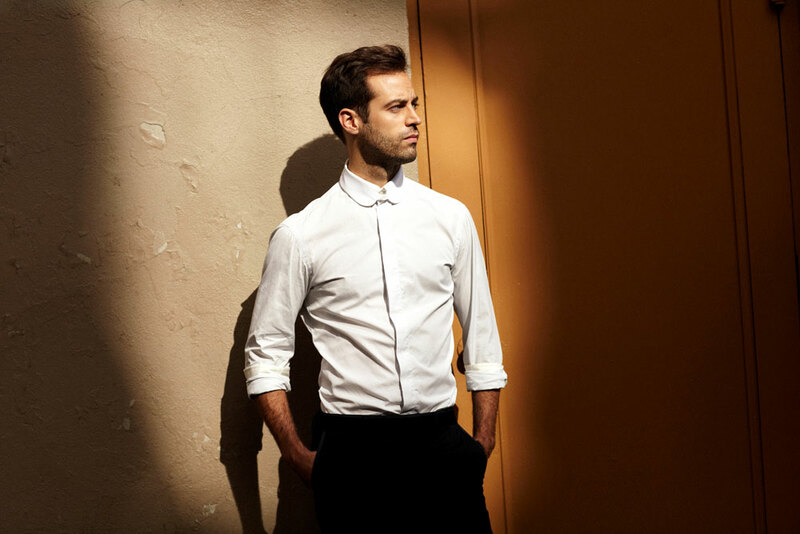 If one is able to forget about the celebrity hype and the Dior perfume ads, one begins to see Benjamin Millepied for what he is: an ambitious young choreographer and impresario, trying to find his place in the cacophonous, quarrelsome dance world. He has chosen to set up shop in L.A., far from his old stomping grounds. Of course, the celebrity and the perfume ads are inevitably part of the story, since to a certain extent they make the enterprise possible. The exposure provided by one facilitates the other. But the question remains: what does Millepied mean to accomplish with this small ensemble of six dancers which he has called the L.A. Dance Project? On the occasion of the group’s first East Coast tour, we can begin to form an idea. This week, they are performing at Montclair State University’s Alexander Kasser Theatre as part of the Peak Performances series. I saw them on Oct. 25. The same goes for his choreography. His work has an air of effortful exploration, rather than the explosive energy – or sense of inevitability – that comes with a blast of creativity. One never really loses oneself in his ballets, but there is usually much to admire; certain images, an idea, an overall visual elegance. It’s clear he has skills, but what seems to be missing is a sense of what exactly he has to say, or what drives him to make this or that. In my opinion, he came the closest to full development of an idea with Plainspoken, a 2010 work he made for several of his friends and colleagues at New York City Ballet, with music by David Lang (review). Here, for the first time, one sensed a personal statement of style: casual, cool, urban, sophisticated, playful, but also a little harsh and detached. Perhaps Baryshnikov, one of his first mentors, said it best in an interview with Gia Kourlas a few years back: “I thought it was impossible to learn how to choreograph, but he does it somehow….Maybe his pieces are not 100 percent inspired, but he thinks, and he is a great partner – he knows how to move people around, he likes to see the patterns and to work with the designers.” No shame in that. Interestingly Millepied’s new six-person ensemble does not bear his name and describes itself as a “curatorial collective” with the composer Nico Muhly, the opera director Charles Fabius, and others. And it does not perform only his works. He’s keeping a low profile, and that too is a sign of intelligence. (At Montclair, he didn’t even come out for a bow.) He probably realizes he cannot sustain a whole evening with just his own dances – very few choreographers can – and furthermore, he sees the need in L.A. for a repertory company performing works of a very high level that are not being done by other companies. He can afford to do pieces by serious choreographers and to bring in the necessary coaching staff to ensure that it is done well. The Montclair triple bill was made up of ballets by Millepied, Merce Cunningham, and William Forsythe. Amanda Wells and Morgan Lugo in L.A. Dance Project publicity image. The first item was Millepied’s Moving Parts, a ballet of modest aspirations whose most striking characteristic was the use of three brightly colored panels by Christopher Wool, covered in numbers and letters in a style akin to a jazzy Jasper Johns. The dancers wheeled them about, appearing and disappearing behind them, constantly reconfiguring the performance space. The dancing had a jaunty, sporty quality and felt much less formal than previous Millepied works–and perhaps less interesting, too. One could sense that much of the movement came out of improvisation, pushing and pulling, twisting and falling, seeing how far one thing might lead and then moving on to something else. The arms were fluid, a little florid, like seaweed flowing in a current. The dancers, clad in socks, watched each other, ran in and out, or moved together arm in arm. The music, by Millepied’s frequent collaborator and curatorial partner Nico Muhly, was a trio for clarinet, violin, and pre-recorded organ (the clarinetist and violinist were onstage). With the exception of some fine, churchy passages for the organ, though, it was quite amorphous, as Muhly’s music often is. As the piece wore on, the constant shifting of panels became irksome, mainly because it seemed pointless. But there were some nice effects in the lighting, by Roderick Murray: a crepuscular glow, passages bathed in bright sunlight, and the casting of shadows. Increasingly, though, one felt a lack of purpose. In the final tableau, the dancers stood to gaze at Wool’s panels as if visiting a gallery; but this, too, felt artificial, unpersuasive. Nothing could be less aimless than Cunningham’s Winterbranch (1964), which came next. Here was a piece almost single-minded in its intentions, and still radical, uncomfortable in its effect. At the start a dancer, almost indistinguishable in the darkness, wiggles onstage in a black bag, like a molting pupa. It’s a faintly disgusting image, and not a little scary, but I have seen it done with more electricity than here. As Cunningham wrote, “there is a streak of violence in me” – but as performed by these dancers, the violence was fairly subdued. They come on in seemingly random order, slowly bending, arching, and falling, or being dragged on lengths of canvas, or lifting a leg and slowly moving it around to the side and then back, tilting, with arms open, and falling over the body of another dancer. Bodies lie on the stage in contorted poses, like corpses. A man and a woman lie side by side with their torsos lifted like cobras; the woman turns onto her side, chest facing forward, legs extended like an Etruscan funerary statue. The man pulls her up and then slowly lowers her down again on the other side, then drags her away. The lighting, recreated at Montclair by Beverly Emmons and based on Robert Rauschenberg’s original “found” lighting plan, was fairly dim; it was often difficult to see what was going on. This, too, was the original intent. Again, Cunningham: “the lighting is done freely each time, so that the shapes are differently seen, partially or not at all.” The lighting techniques included a man carrying an industrial lamp across a walkway above the stage, which created an effect like the headlights of a car, a bright light projected from the wings, fluorescent bulbs buzzing on and off, spotlights illuminating random areas on the stage and a beautiful lattice effect, as if light were being filtered through a grille. La Monte Young’s “music”, Two Sounds, which starts halfway through the piece, is almost unbearable: the sound of metal on metal or machinery in serious need of some grease. By the end, one’s head is about to explode. The piece is disturbing, even if this version, staged by Jennifer Goggans with the help of Robert Swinston, felt a bit mild. The steps were there, but the performance lacked urgency. It was only with the final piece, William Forsythe’s Quintett (1993), that we finally got to know the dancers. This tender, intimate dance, composed as Forsythe’s first wife was dying of cancer, is suffused with an uncomfortable but also elegiac feeling of mortality. It ends with a woman, Frances Chiaverini, dancing alone, occasionally faltering, periodically assisted by a man who emerges from the wings and pushes her forward, urging her to go on. As the curtain descends, she struggles on. Throughout, the tall, quietly compelling Chiaverini – familiar from her performances with Karole Armitage and Luca Veggetti – radiated a profound sweetness that melted into sadness. Her sense of focus, her beautiful lines, her engagement with the other dancers, were all remarkable. Death is everywhere, suggested in the reclining poses of the dancers, their absences from the stage, and by a short shadow-play performed with the help of a machine projecting clouds on the back wall of the theatre. Presence and absence. Love and fear. A dark-haired man, Morgan Lugo, performed an ecstatic solo. Lugo is a fluid, quietly Romantic dancer; he reminds me a bit of Millepied in his dancing days. Two dancers embrace; one pushes the other aside with playful hip bumps. The tall, lanky Nathan Makolandra is spiky, extreme, all rubbery joints and hips and hyper-extended poses; his solo is like a skit performed by a slightly off-kilter, demonic jester. He is the most classical dancer of the group, but also the most extreme in his disjunctions; in a way, he reminds me of videos I’ve seen of Forsythe. Charlie Hodges, compact, bald, short of limb, is the class clown, just as he was in Twyla Tharp’s’ Come Fly Away. During one duet, his glasses flew off (yes, he wears glasses in the piece), and it was charming to see how he nonchalantly picked them up, almost making a joke of it. He has loads of charisma, but could tone down the mugging just a bit. Julia Eichten was wild, playful, mercurial. I left the theatre with a lump in my throat. Perhaps it’s Gavin Bryars’ chant-like Jesus’ Blood Never Failed me Yet, in which a tramp’s craggy voice intones a Christian hymn over and over, but the emotion of the piece hangs like a cloud. Millepied’s dancers managed to capture, even accentuate, the sweetness and lack of guile which makes Quintett such an anomaly in Forsythe’s oeuvre. It helps that they were coached by a team of Forsythe collaborators, including the choreographer himself. Nothing can replace the hand of the master. 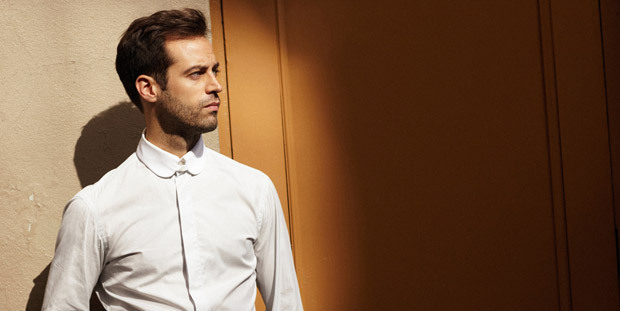 Millepied’s dancers really got it, and for that we can also be thankful to Millepied himself. Quintett is a rarely-seen work, and one that sheds light on a side of Forsythe we don’t often get to see. Millepied may still be finding his way as a choreographer, but if these are the sorts of revivals L.A. Project is planning to take on, it has found its raison-d’être.